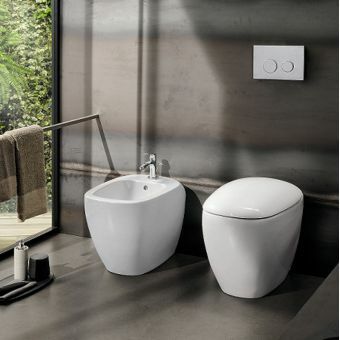 Combine beautiful geometric contours and minimalist design in your bathroom with the Geberit Citterio asymmetrical washbasin. 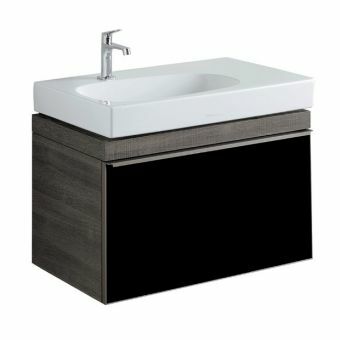 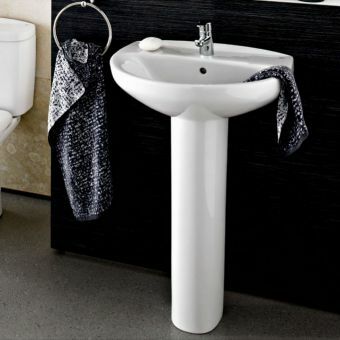 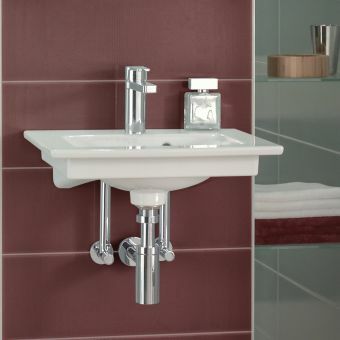 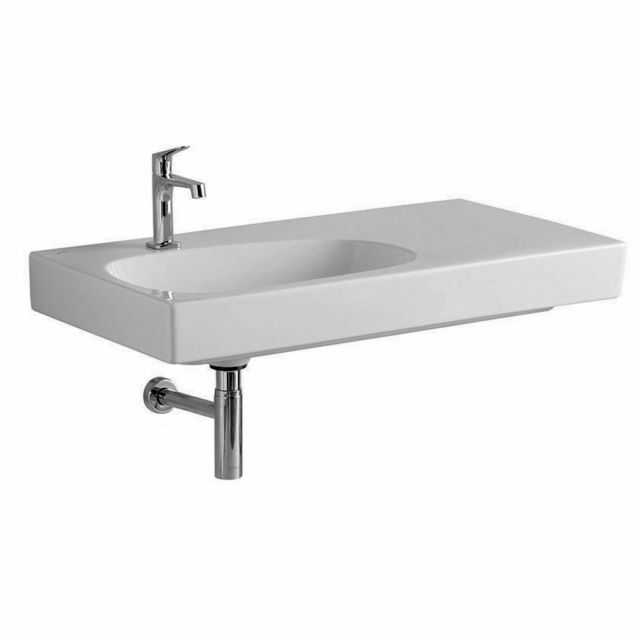 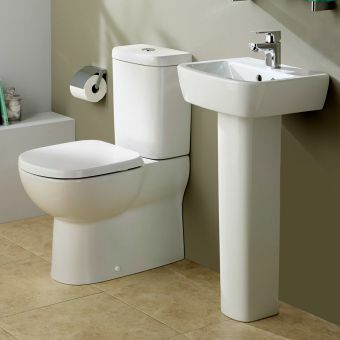 This washbasin, available in ceramic white, comes in two different sizes, ensuring there are options for en-suites and bathrooms of all different proportions and layouts. 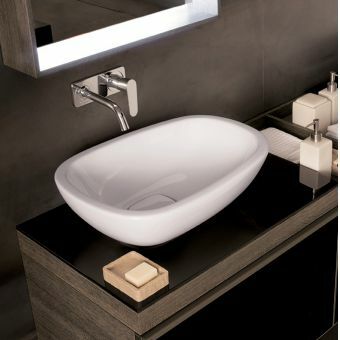 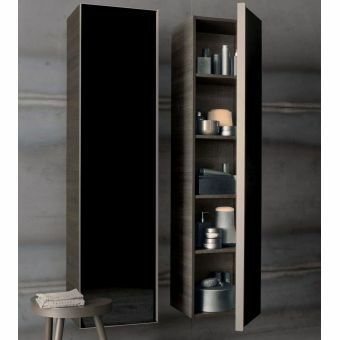 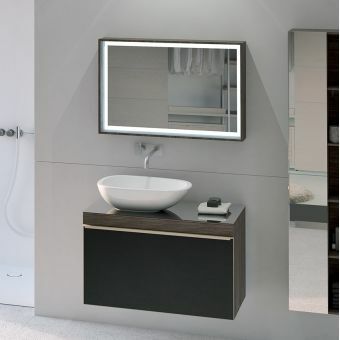 This basin can also be paired with the matching Geberit Citterio cabinet, and the asymmetrical design highlights this range’s remarkable originality. 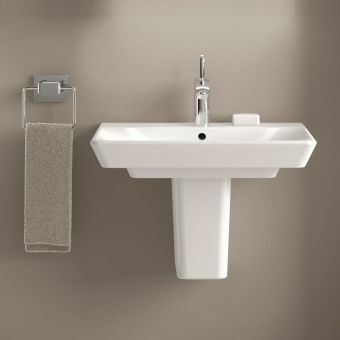 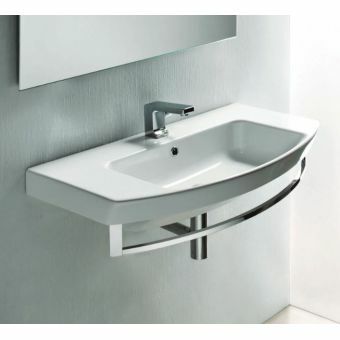 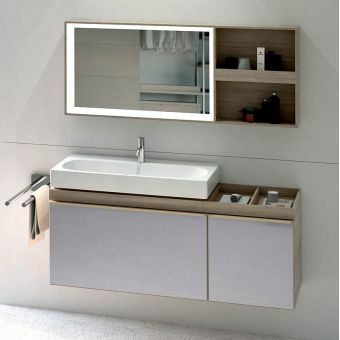 The taps and the shelf space can be positioned on either the left or the right, displaying the flexibility of this Geberit Citterio washbasin. 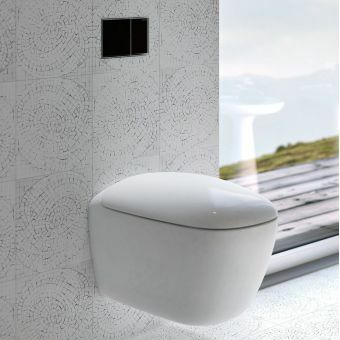 Designed with the utmost quality and elegance in mind, the surface is made of KeraTect glaze, guaranteeing reliability and timeless elegance. 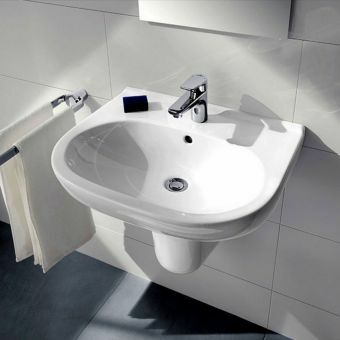 With an almost extremely smooth surface, bacteria and dirt will not linger. 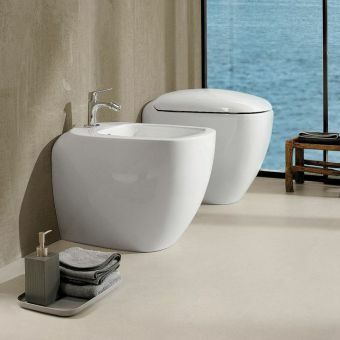 Even when subject to the harshest of conditions, the washbasin cannot be damaged. 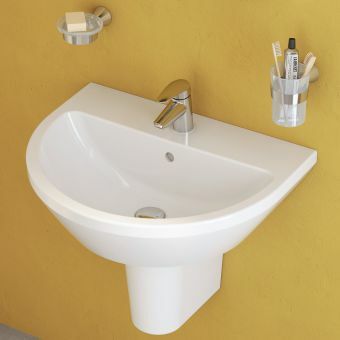 Choose to pair this asymmetrical washbasin with some high-quality taps and waste leaving the pipework exposed for a contemporary, family bathroom design.